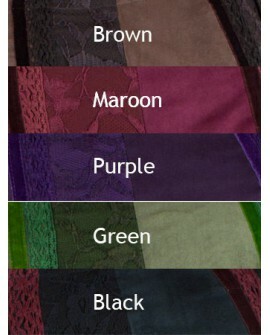 Fee is a mini skirt made with soft, smooth velvet (cotton) and lace. This skirt has a lot of charming details. It has alternating panels of intricate embroidery, velvet and lace. It also has two overlapping pockets on one side. The top flaps of the pockets are embellished with bronze stars adding that extra dimension to this lovely skirt.